Are you looking for Muscat Tours? Come and join us on one of our many Day Trips from Muscat and explore the best attractions in Oman Such as Wadi Al Arbaeen, Jebel Akhdar, Nakhal, Nizwa, Jabal Shams, Wadi Shab, Rustaq, Wahiba Sands and More! 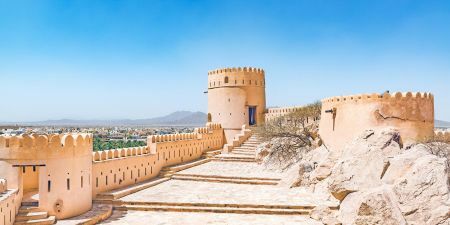 Enjoy with Omani Cultural tour to discover Oman’s significant heritage and culture on this half Muscat day trip that visits The Royal Opera House Muscat, The Omani Heritage Gallery, the Bateel date store, and The Bait Adam Museum, that exhibits cover the history of Muscat and Oman, including its geology, early human settlements. Enjoy Nizwa and Jebel Akhdar Tour from Muscat to discover the historic Nizwa Fort and traditional market, Birkat Al Mauz, Wadi al Madeen, and proceed to the green mountain of Hajar mountain ranges. Enjoy Jebel Akhdar and Misfat al Abreyeen Tour from Muscat city to discover Nizwa Souq, have a photo stop at the Round Tower Fort, and proceeds to Wadi Nakher, the mountain village of Misfah, Jebel Shams, and Wadi Ghul. Enjoy Wadi Al Arbaeen and Tour from Muscat to discover one of the most amazing scenic spots in the country, Quriyat and proceed on an off road trip via Wadi Al Arbaeen. Enjoy a picnic lunch in Wadi Al Arbaeen before returning back to Muscat. Enjoy Wadi Bani Khalid and Wahiba Sands Tour from Muscat to discover the most significant desert, visit Wahiba Sands to see play among the huge dunes in a 4x4 vehicle and then continue to the oasis of Wadi Bani Khaled to explore the freshwater springs and palm groves that make life in the desert possible for the bedouin who live there. Enjoy Rustaq and Nakhal Tour to discover the most significant fort and hot springs, as well as the fishing village of Barka. Take the Nakhl tour and learn about their history, which dates back to the pre-Islamic period. Enjoy Wadi Bani Awf and Wadi Al Abyadh Tour to discover peaks of Hajar mountain range, Al Abyadh village is notable for its ancient mountain houses, flowing spring water, fringed by sand dunes and the pretty mountain village of Bilad Sayt before returning to Muscat. 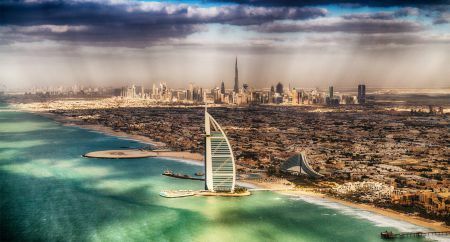 Enjoy the amazing Nakhal city tour to visit the Seeb Fish Market, have a drive through the date palms, have a stop at Nakhal springs, and the fascinating Nakhal Fort. Enjoy a wonderful tour along Batinah expressway to discover Seeb Fish Souq, Fort at Nakhal, Wakan Village (famous for its terrace farming), and Wadi Abhyad. Enjoy a trip out to sea where you can meet dolphins and whales and enhance your knowledge of nature’s most fascinating marine mammals. 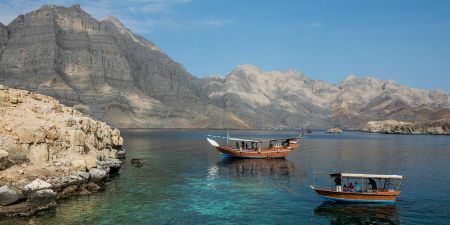 Enjoy Muscat coast's blue water through a dhow cruise (fishermen’s boat), where you will have a stop at a natural cove and photograh Al Bustan Palace Hotel.